Whether on a six or three month re-care program, when you come in for your dental hygiene appointments, we want to ensure you are comfortable and well-informed about your dental health. The health of your teeth and gums are both equally important to having a healthy mouth. At your dental hygiene appointments, our registered dental hygienists and doctors will take the time with you to provide education so you can be informed about your oral health. 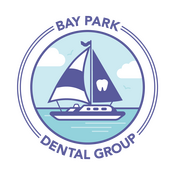 Our office offers Healthy Gum Therapy and Periodontal Therapy Programs for our patients who are at risk for or have gum disease. We also offer a Carries Prevention Package which includes prescription strength mouth rinse, toothpaste, and fluoride varnish so you can prevent cavities before they occur. Our hygienists, Kelly and Karen, are passionate about continuing education and preventative treatments to give you high-tech and trustworthy dental care.